A theme running through the sessions I attended at Enterprise Search Summit and KMWorld 2010 in Washington, DC last month was the diversity of ways in which organizations are focused on getting answers to stakeholders more quickly. Enterprises deploying content technologies, all with enterprise search as the end game, seek to narrow search results accurately to retrieve and display the best and most relevant content. 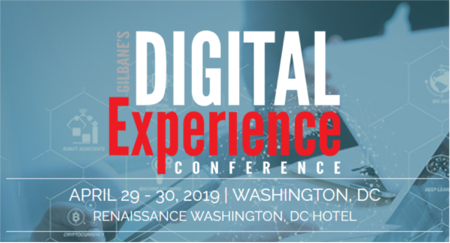 Whether the process is referred to as unified indexing, federating content or information integration, each constitutes a similar focus among the vendors I took time to engage with at the conference. Each is positioned to solve different information retrieval problems, and were selected to underscore what I have tried to express in my recent Gilbane Beacon, Establishing a Successful Enterprise Search Program: Five Best Practices, namely the need to first establish a strategic business need. The best practices include the need for understanding how existing technologies and content structures function is the enterprise before settling on any one product or strategy. The essential activity of conducting a proof of concept (POC) or pilot project to confirm product suitability for the targeted business challenge is clearly mandated. Access Innovations (AI) was at KMWorld to demonstrate the aptly named product suite, Data Harmony. AI products cover a continuum of tools to build and maintain controlled vocabularies (AKA taxonomies and thesauri), add content metadata through processes tightly integrated with the corresponding vocabularies, search and navigation. Its vocabulary and content management tools can be layered to integrate with existing CMS and enterprise search systems. Attivio, a company providing a platform solution known as Active Intelligence Engine (AIE), has developers specializing in open source tools for content retrieval solutions with excellent retrieval as the end point. AIE is a platform for enterprises seeking to unify structured and unstructured content across the enterprise, and from the web. By leveraging open source components they provide their customers with a platform that can be developed to enhance search for a particular solution, including bringing Web 2.0 social content into unity with enterprise content for further business intelligence analysis. Coveo has steadily marched into a dominant position across all vertical industries with its efficiently packaged and reasonably priced enterprise search solutions, since I was first introduced to them in 2007. Their customers are always enthusiastic presenters at KMWorld, representing a population of implementers who seek to make enterprise search available to users quickly, and with a minimum of fuss. This year, Shelley Norton from Children’s Hospital Boston did not disappoint. She ticked off steps in an efficient selection, implementation and deployment process for getting enterprise search up and running smoothly to deliver trustworthy and accurate results to the hospital’s constituents. I always value and respect customer story-telling. Darwin Awareness Engine was named the KMWorld Promise Award Winner for 2010. Since their founder is local to our home-base and a frequent participant in the Boston KM Forum (KMF) meetings, we are pretty happy for their official arrival on the scene and the recognition. It was just a year ago that they presented the prototype at the KMF. Our members were excited to see the tool exposing layers of news feeds to hone in on topics of interest to see what was aggregated and connected in really “real-time.” Darwin content presentation is unique in that the display reveals relationships and patterns among topics in the Web 2.0 sphere that are suddenly apparent due to their visual connections in the display architecture. The public views are only an example of what a very large enterprise might reveal about its own internal communications through social tools within the organization. The newest newcomer, RAMP, was introduced to me by Nate Treloar in the closing hours of KMWorld. Nate came to this start-up from Microsoft and the FAST group and is excited about this new venture. Neither exhibiting, nor presenting, Nate was anxious to reach out to analysts and potential partners to share the RAMP vision for converting speech from audio and video feeds to reliable searchable text. This would enable the unification of audio, video and other content to finally be searched from its “full text” on the Web in a single pass. Now, we depend on the contribution of explicit metadata by contributors of non-text content. Long awaiting excellence in speech to indexing for search, I was “all ears” during our conversation and look forward to seeing more of RAMP at future meetings. Whatever the strategic business need, the ability to deliver a view of information that is unified, cohesive and contextually understandable will be a winning outcome. With the Beacon as a checklist for your decision process, information integration is attainable by making the right software selection for your enterprise application.